Chikuma River Park is located on the banks of the Chikuma River, which runs along Obuse’s western edge. 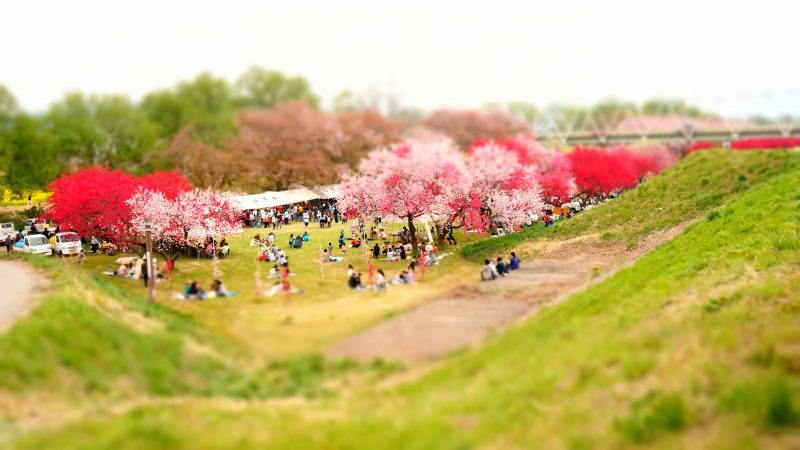 Although it lacks buildings or other facilities, the park does have pale pink cherry, deep pink peach, and brilliant yellow flowering mustard blossoms that offer lovely spring scenery typical of the Kitashinano region. During the blossom festival, local children hold various events to celebrate the arrival of spring.